Comments from DesignStaging: so multi-functional in any space. Great blog! Haaaappy Friday folks, what are you up to this weekend?? We’re going climbing tomorrow and then off to Singas again on Sunday – looking forward to another dose of that city! 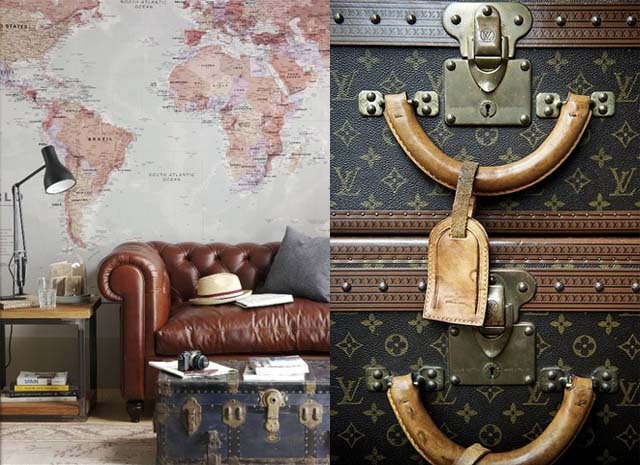 So for today’s design classic post I thought I would take a closer look at something that’s been playing on my mind for approximately the last three years: the vintage steamer trunk. Comments from DesignStaging: A West Elm look you can create yourself…. a wonderful way to repurpose our natural resources. 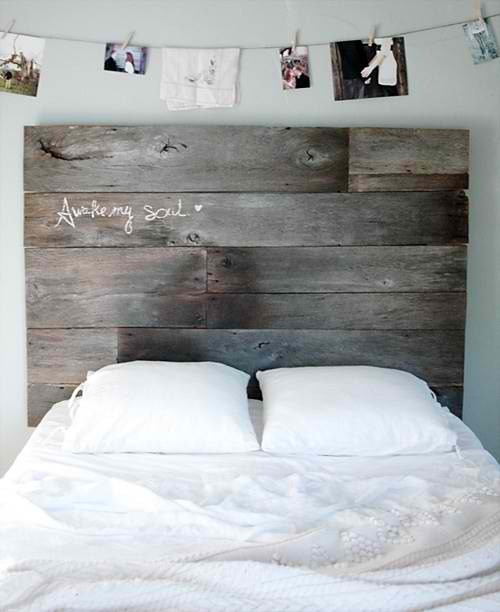 You’ve seen me post this image before in one of my recent post, Natural headboards. Well, if you are really serious about making one of these, head over to design sponge for the complete diy tutorial! 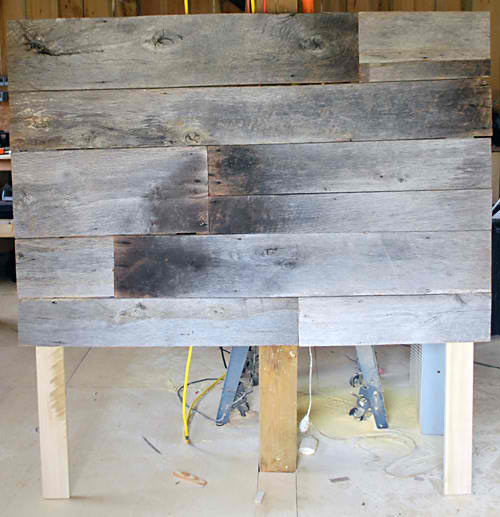 Below are a few images from their diy post. 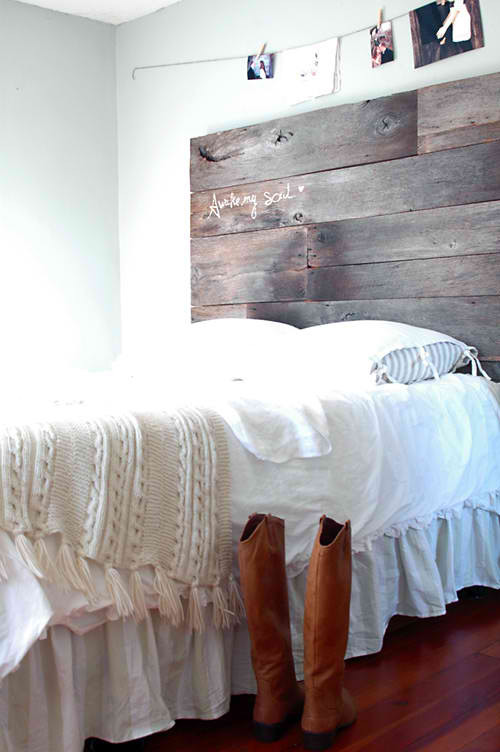 A great weekend project for all your weekend warriors! As I mentioned in my previous posting I am crazy about farmhouse chic and love Garlington Estate and the style of the new homes being built on the estate, and it is on my decorating wishlist. Last year I renovated a really ugly house for a client and turned it into a farmhouse style provence home. Unfortunately I have struggled to get my client to agree to me taking photo’s of the home, now that its complete, I must say the transformation is amazing, as I did take photo’s of the house when they first bought it before we made all the changes. Its not offen I got to decorate in this style in Johannesburg, so this project was very refreshing. Decorative Center Houston see what’s on the calendar…. Pure Home create, inspire, shop…. The Houston Design Center see what’s on the calendar….